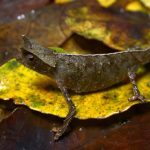 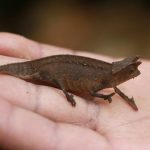 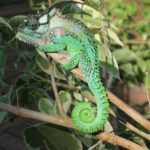 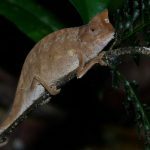 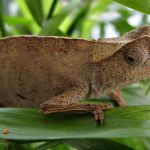 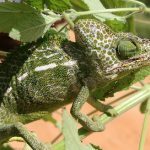 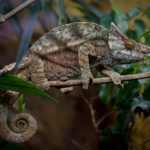 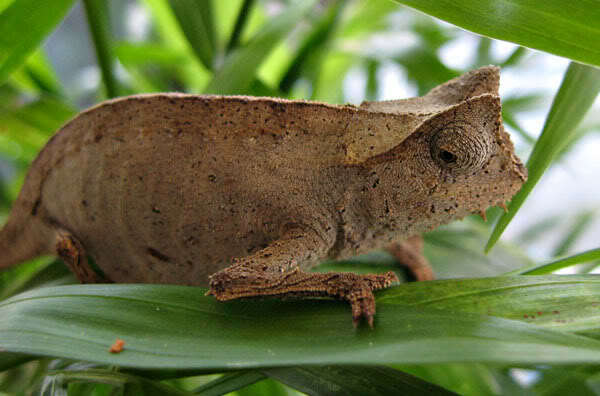 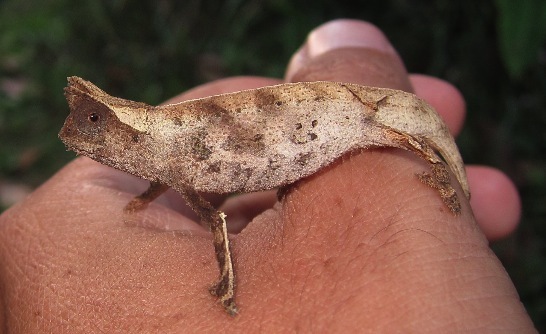 Leaf chameleon is a species of small chameleon occurring on an island off the east coast of Madagascar. 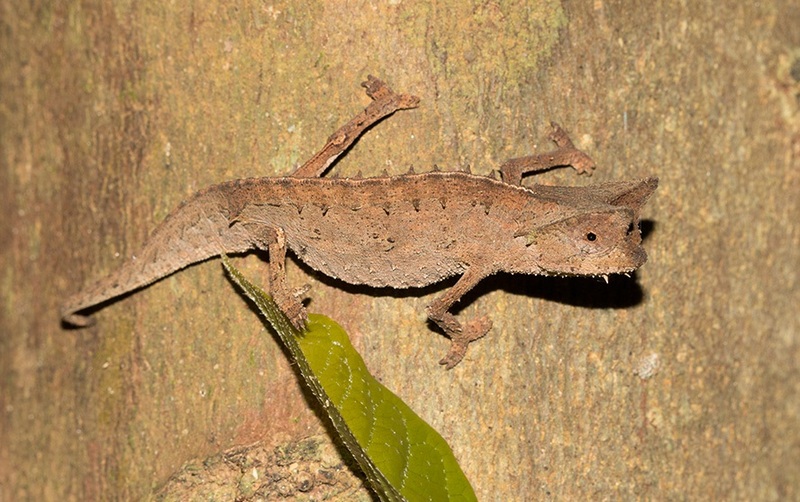 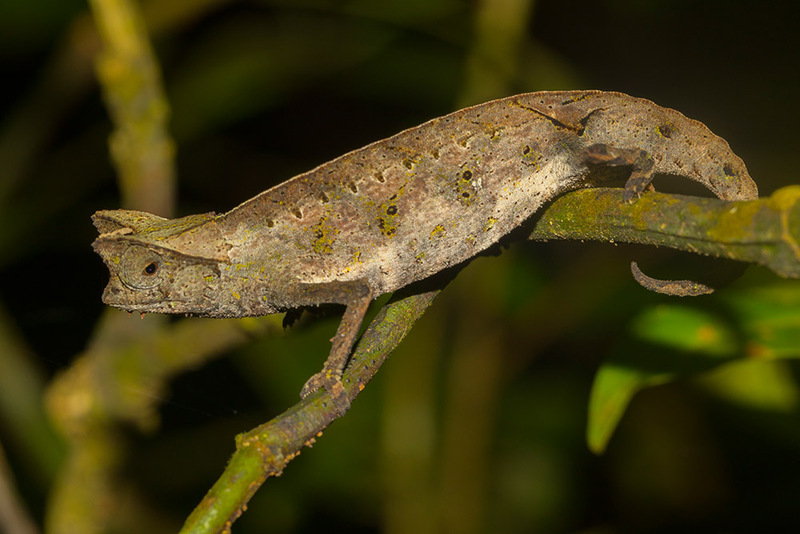 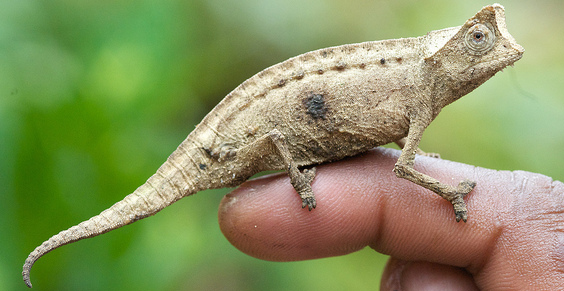 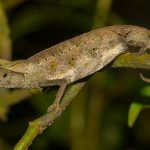 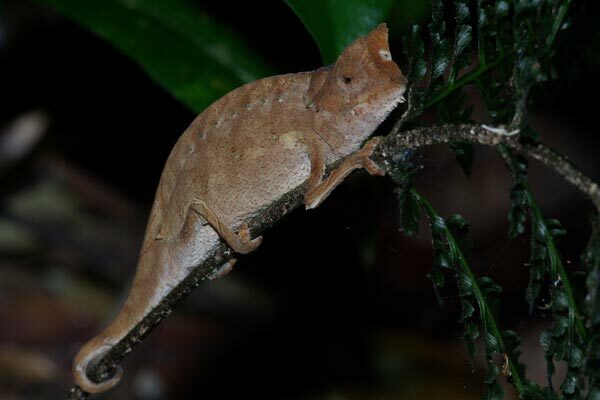 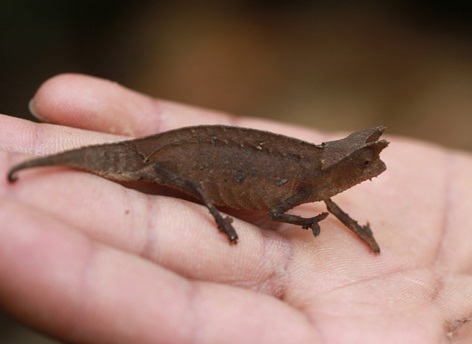 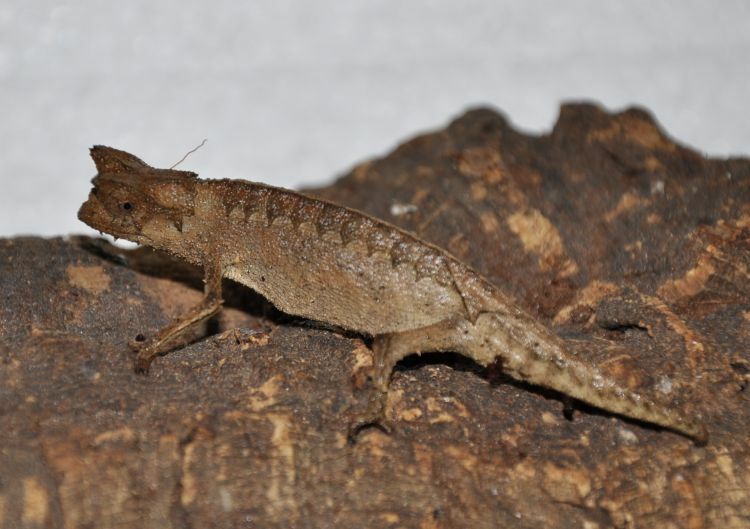 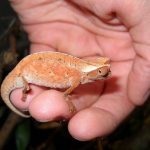 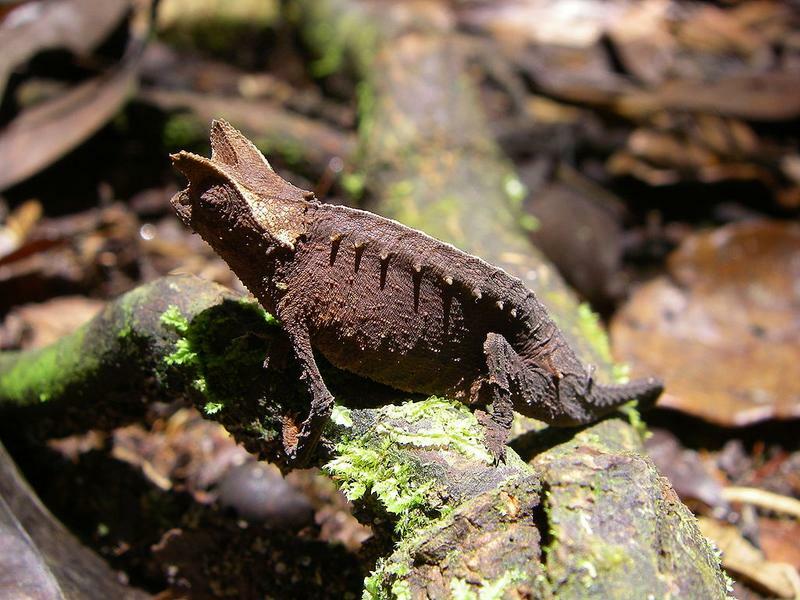 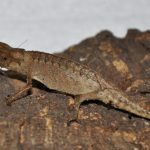 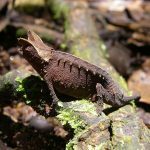 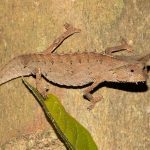 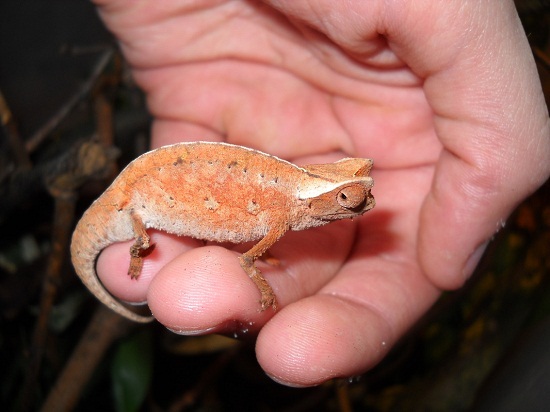 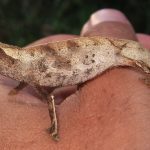 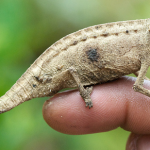 Some of the smallest reptiles in the world also belong to the genus of this species. 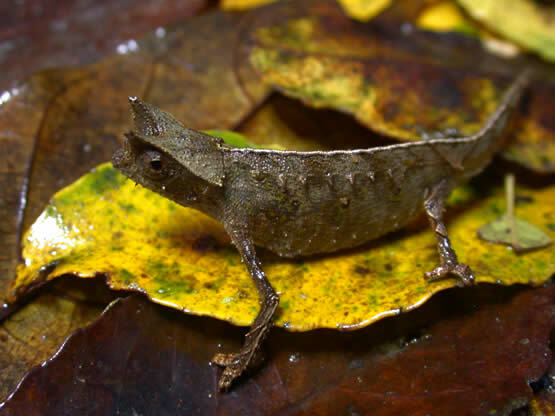 The species spends most of its time on the forest floor hunting for insects. 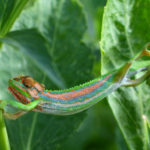 It can change its colors.